It was indeed a privilege to join hands with PHOENIX Marketcity in the celebration of 'Japan Week' from April 20-23, 2017. 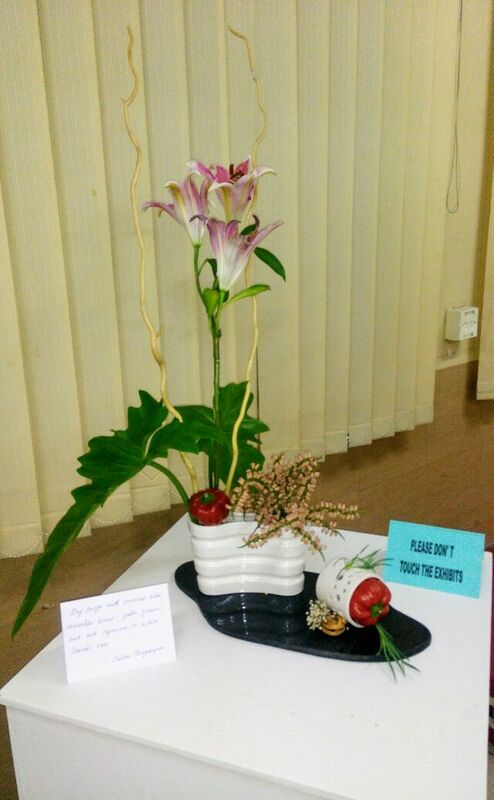 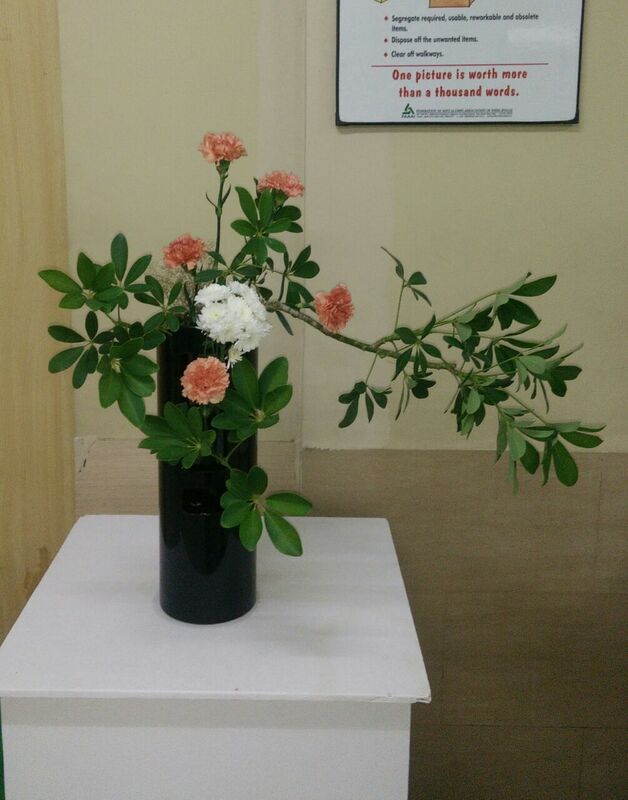 Displayed 10 Ikebana arrangements along with Bonsai plants from ' BODHI' - The Chennai Bonsai Association. Ikebana arrangements were by four students and me. The students did simple but meaningful arrangements based on the lessons completed. Chief Guest was Hiroko Taniguchi, Deputy Consul General, Consulate of Japan. 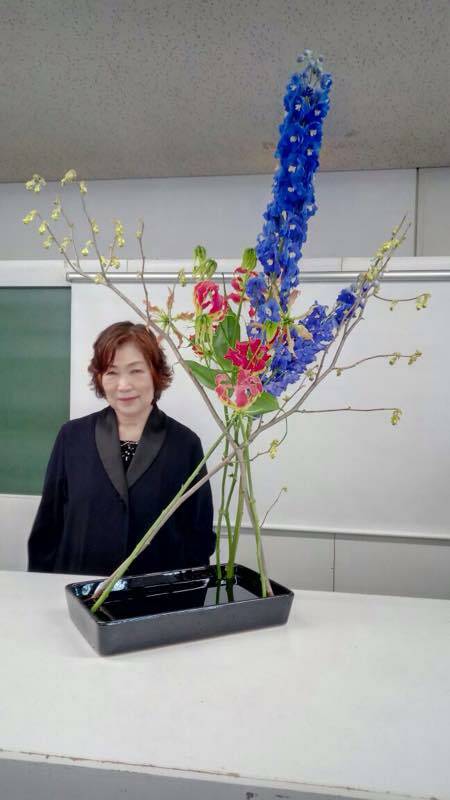 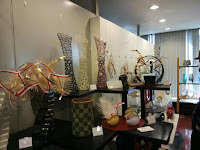 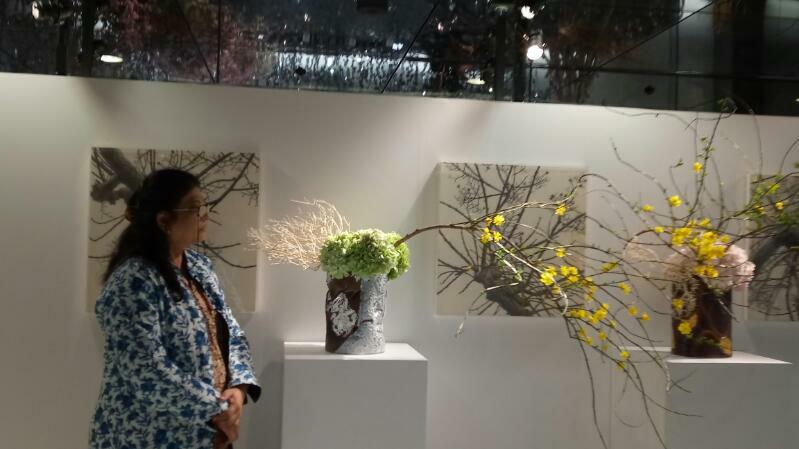 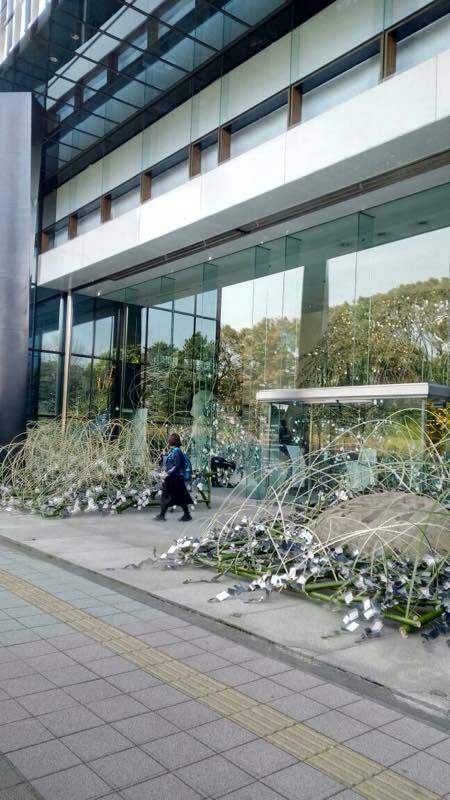 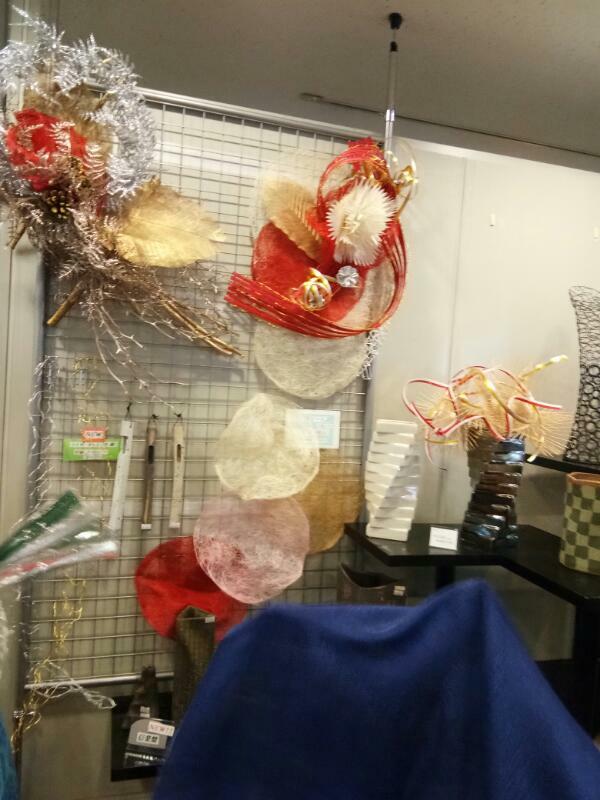 She inaugurated the Exhibition as well as the Ikebana Workshop. 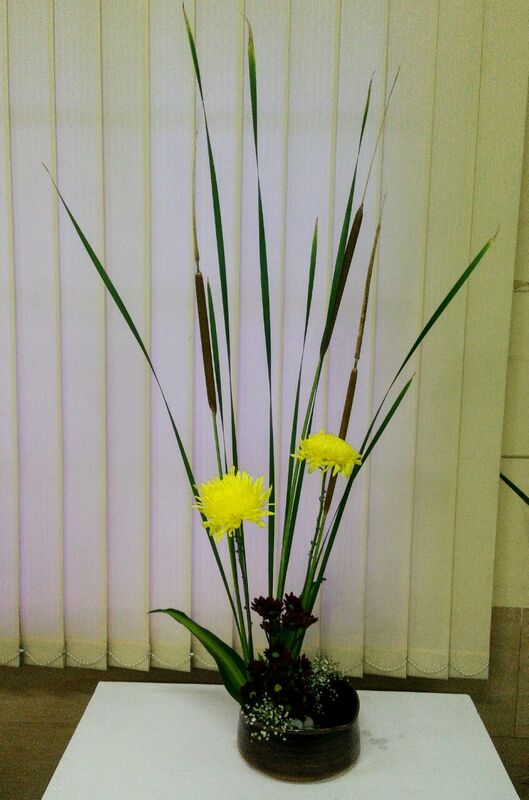 My first arrangement was basic upright style using red carnations and sansevieria in black ceramic suiban. 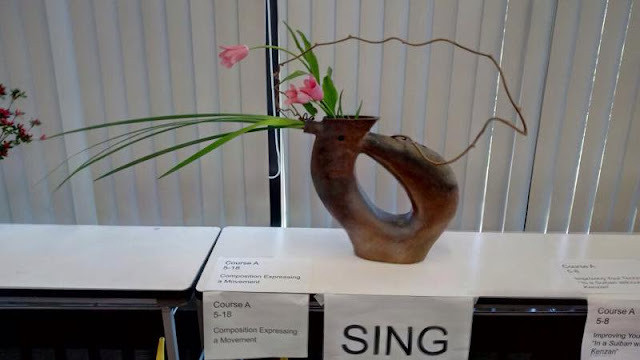 I did three more, two based on lessons and one free style. 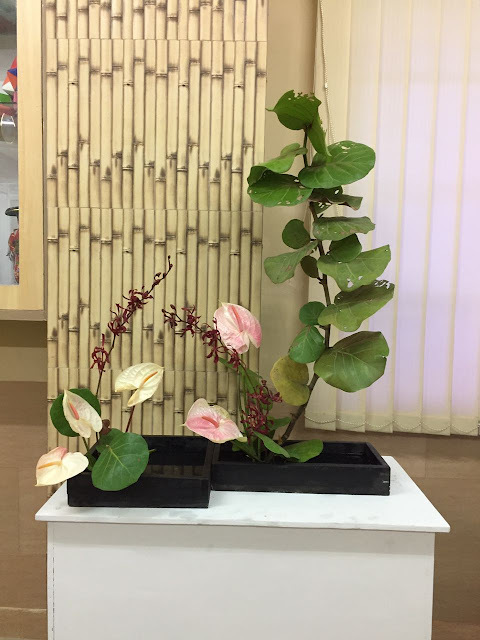 Used materials easily available in Chennai. 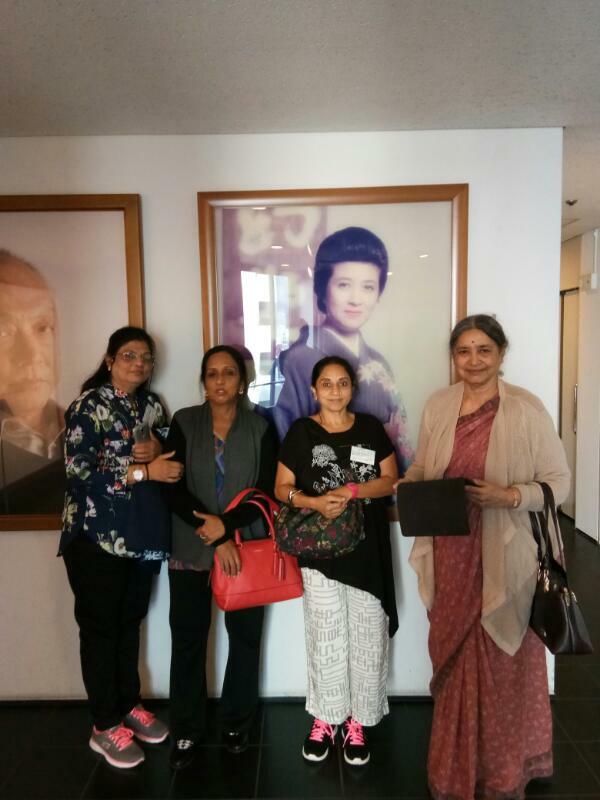 22 participants including few foreigners and couple of students attended the 2 hours long workshop. 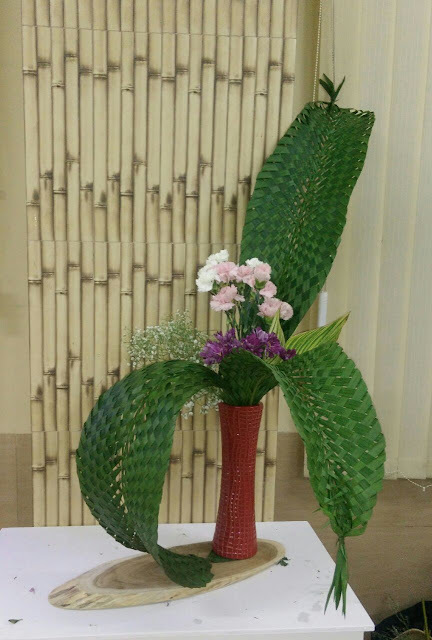 Each participant was given a terracotta suiban, flowers and foliage. 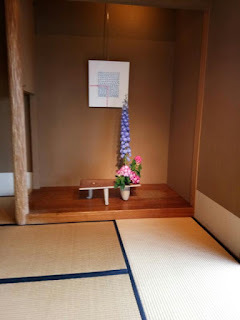 Seating arrangement was not that of a typical class room. 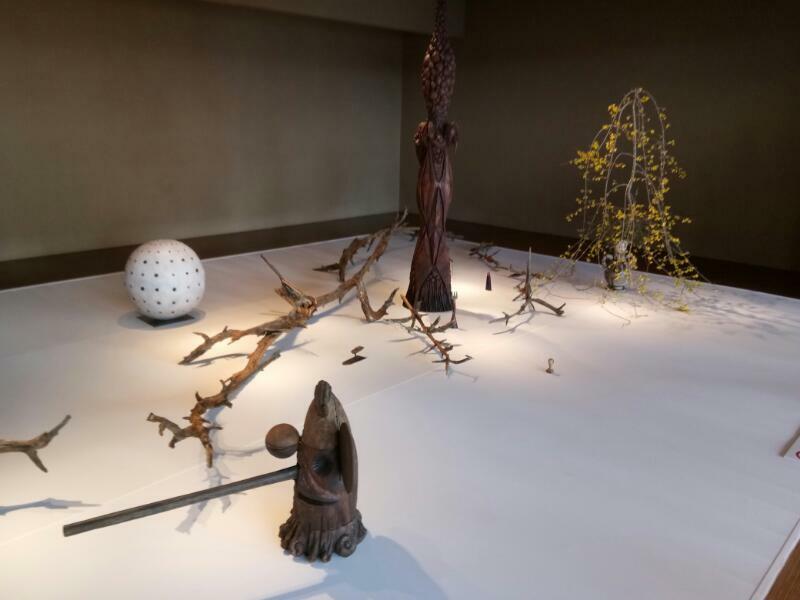 There were many round tables, each shared by 2/3 participants. 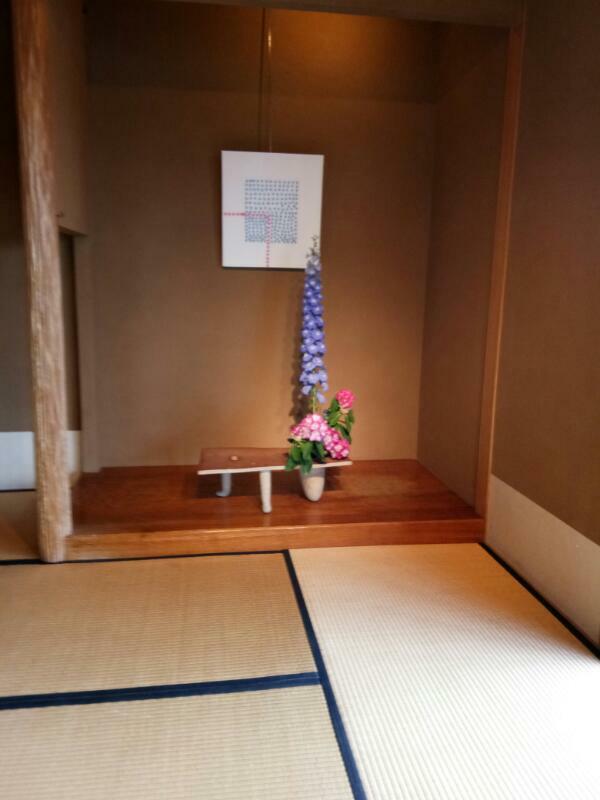 This has created an informal atmosphere and the interactions were easier. 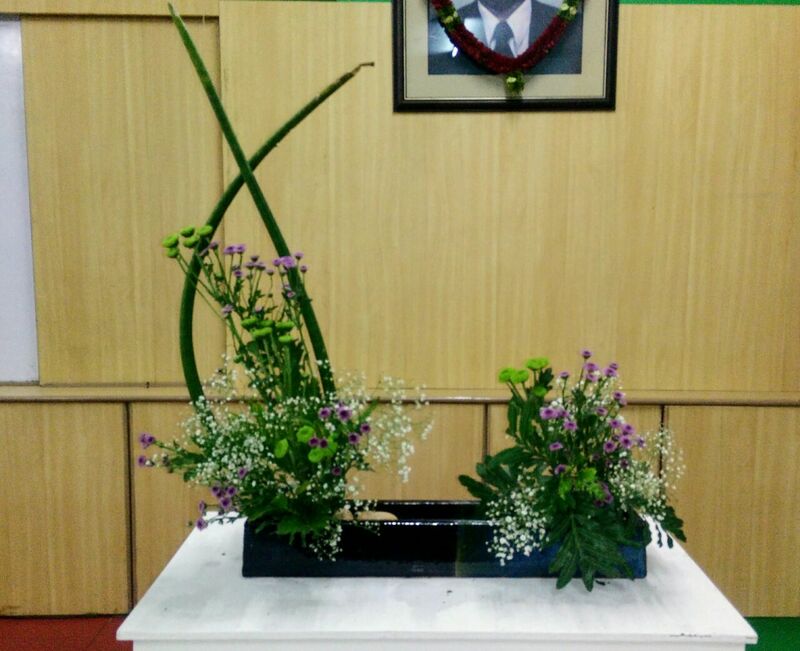 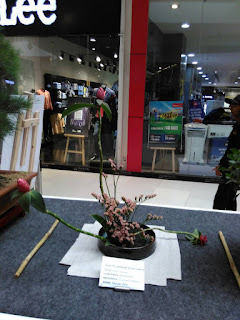 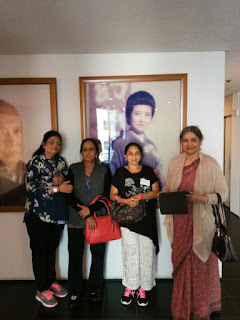 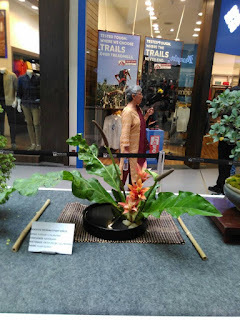 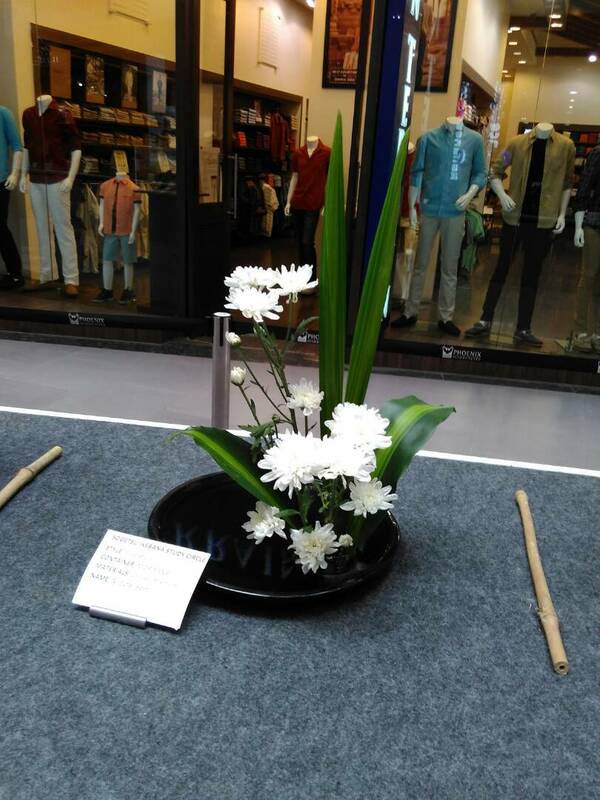 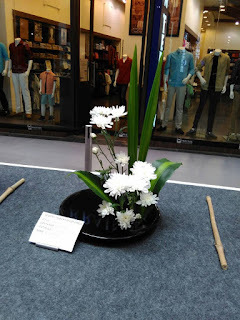 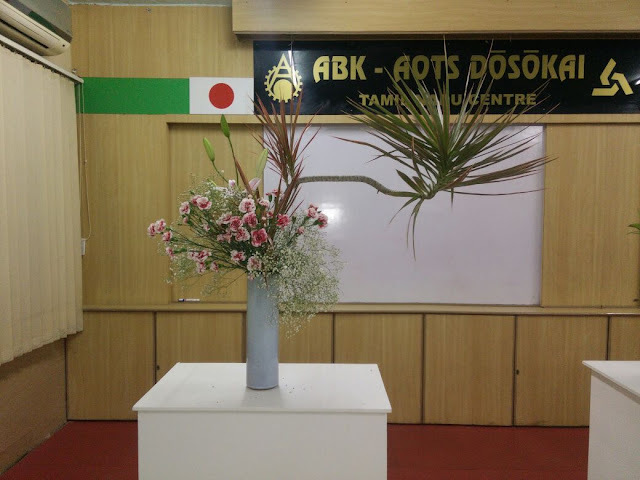 Many participants were eager to know more about Sogetsu Ikebana and its activities in Chennai. 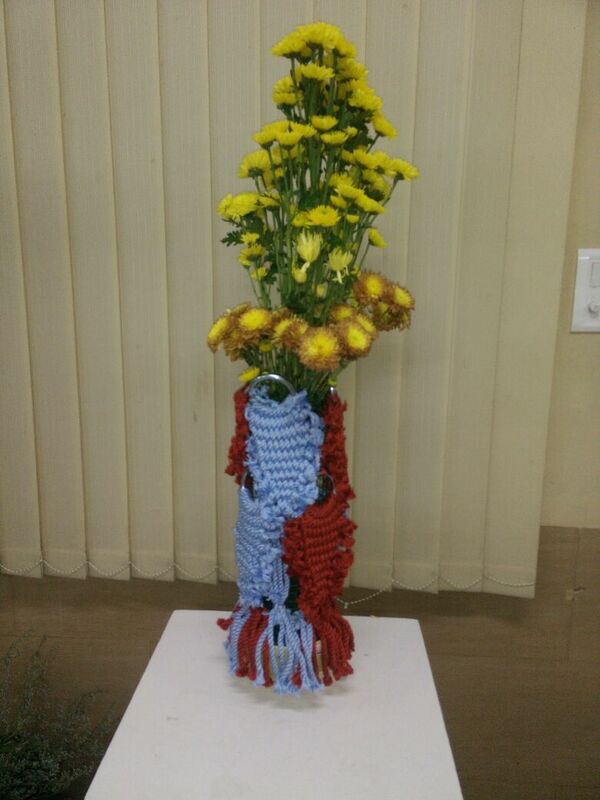 The participants were given the container, scissors, flowers etc used by them. 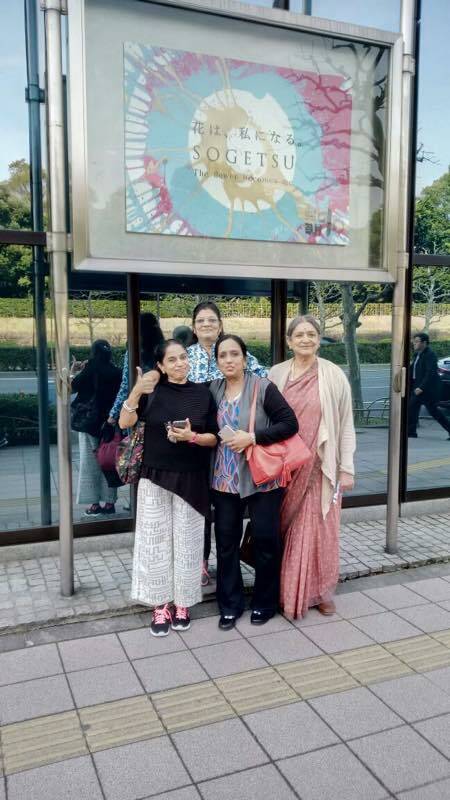 All of them were eager to practise once they reach home. The workshop was followed by a high tea for all. 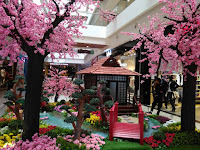 It might be sweltering outside, but once you step into the mall, you are transported to a spring wonderland. 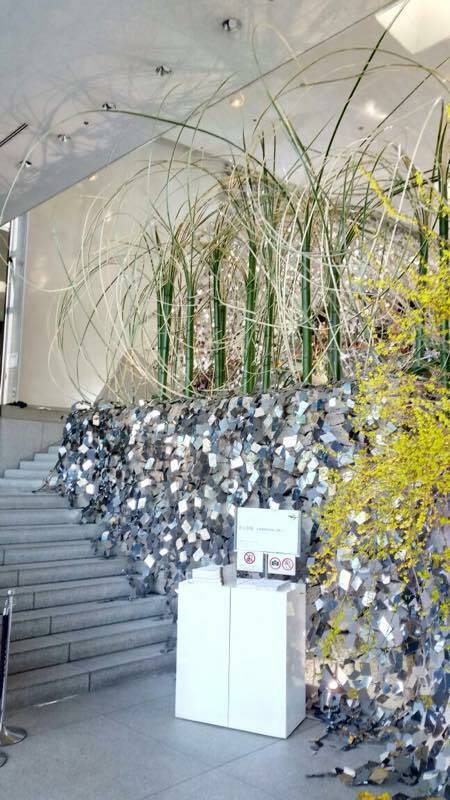 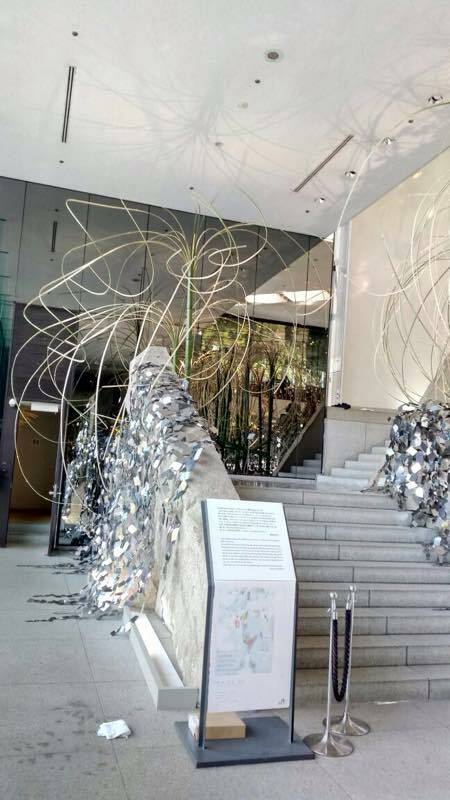 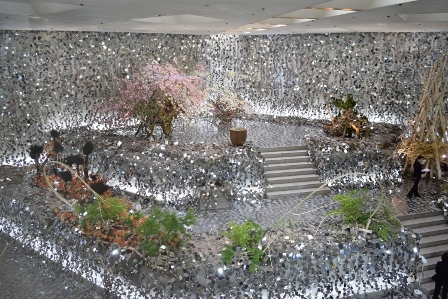 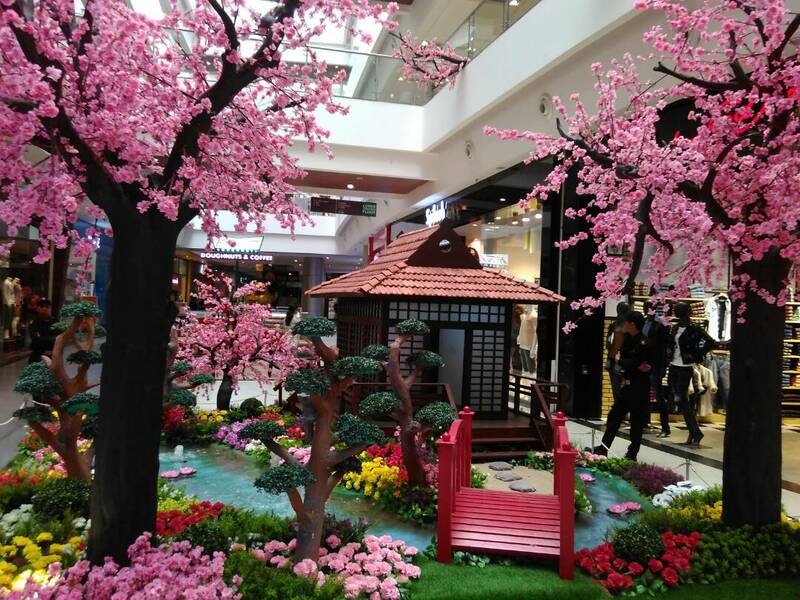 As Phoenix MarketCity dons a visually enchanting decor themed Spring Time in Japan, cherry blossoms and a zen garden with a water feature set the mood for shoppers. Bonsai pots with casuarina and green island ficus dot the corridors; the exhibits were inaugurated by Hiroko Taniguchi, Deputy Consul-General, Consulate of Japan. 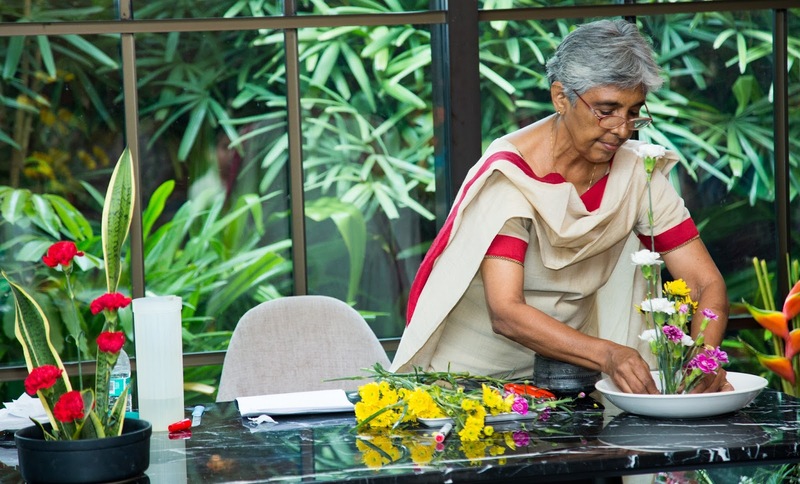 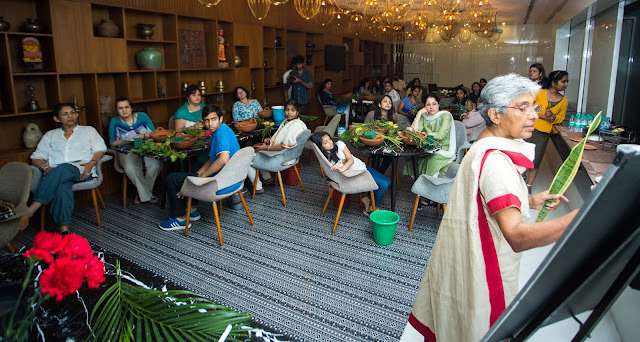 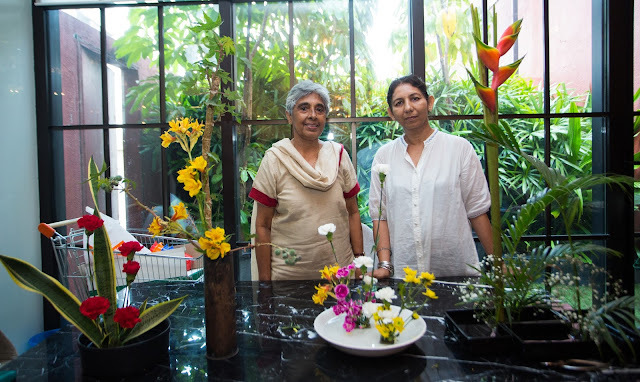 The event also saw Molly Cherian, a certified instructor from Sogetsu Ikebana, Chennai Chapter, conduct a beginner-level workshop on Ikebana. 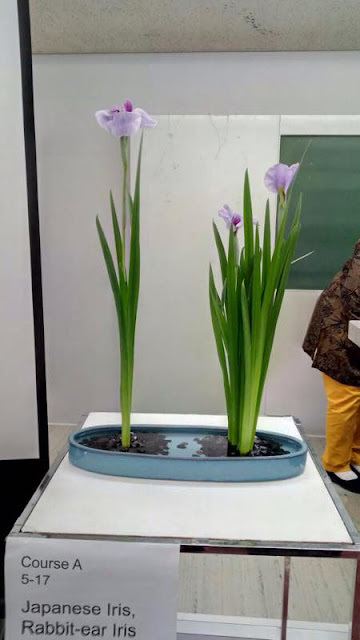 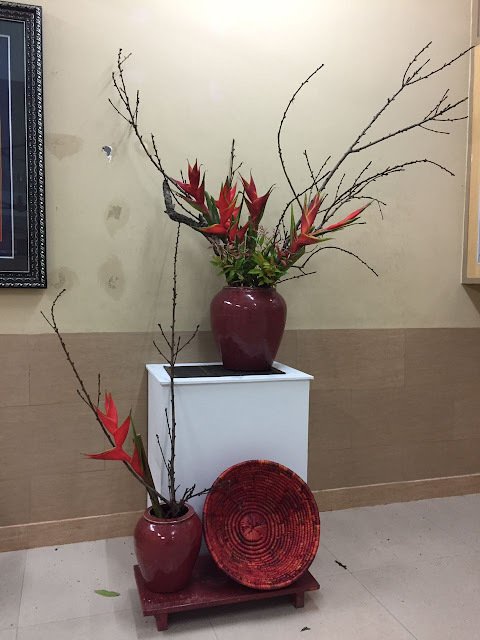 Cherian has been involved with Ikebana for more than 30 years now, and frequently conducts workshops at schools and colleges. She was assisted by Chitrah Rajah and explained how Ikebana stands for arranging flowers in a container that can hold water. Cherian patiently walked the participants through how to cut the stems, measure them, and choose flowers. 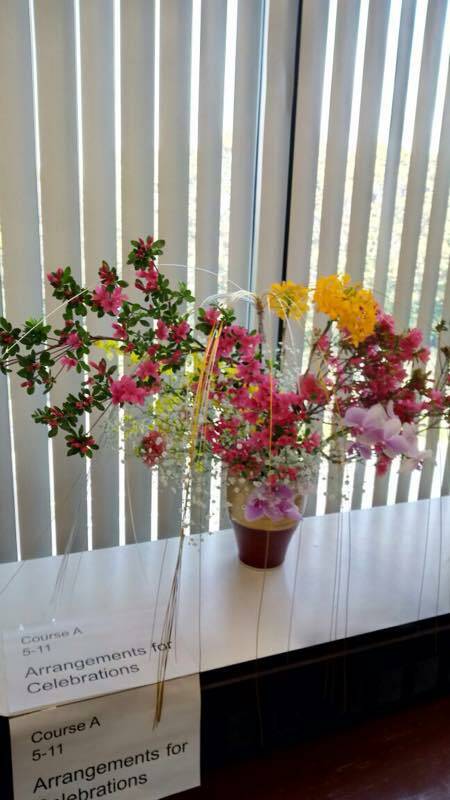 Flowers such as carnations were used, and Cherian taught participants four different styles of Ikebana. 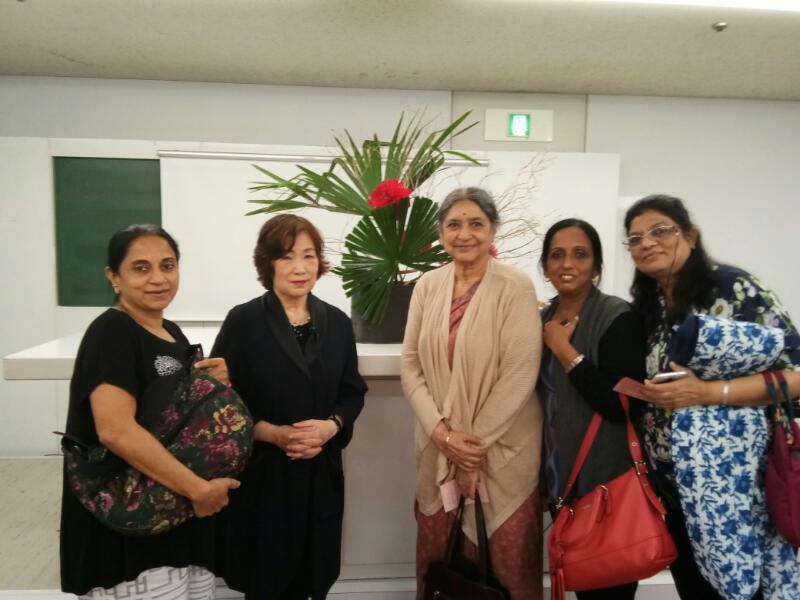 The Sogetsu Study Group took part in the Japanese cultural exhibition organised by ABK. 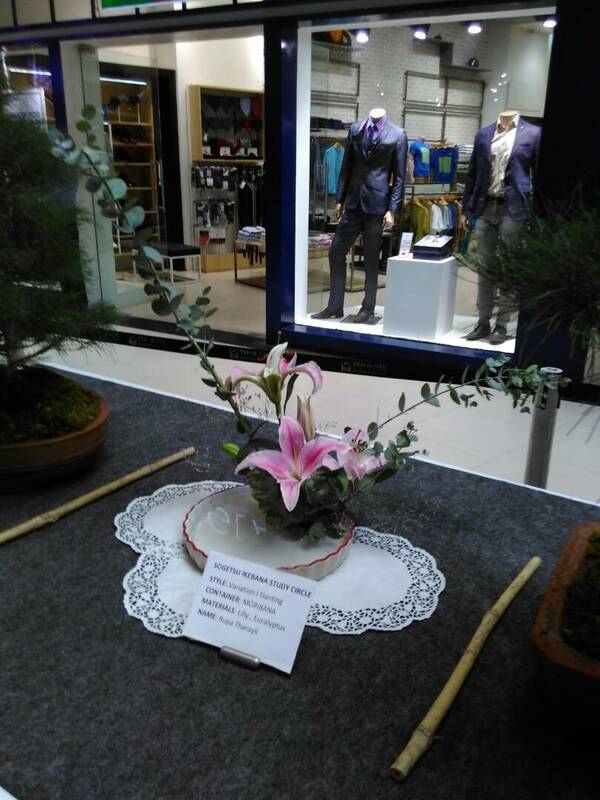 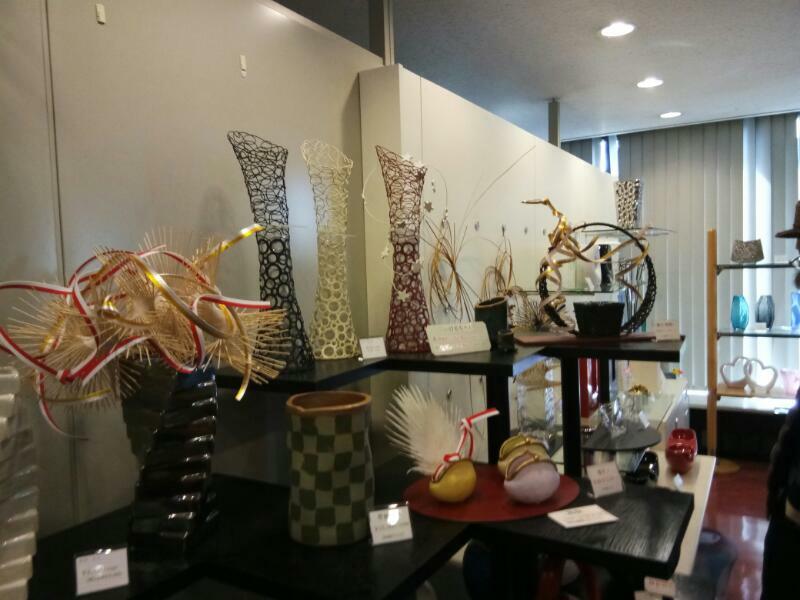 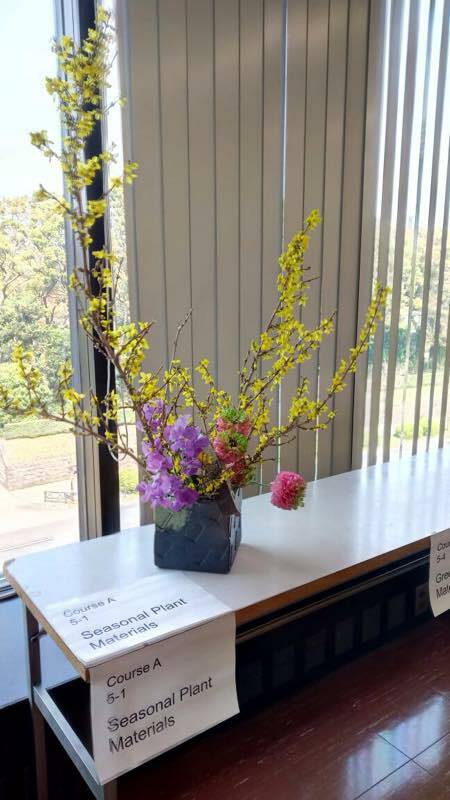 The Annual show popularises Ikebana, Bonsai, Origami, Judo and other Japanese cultural activities. 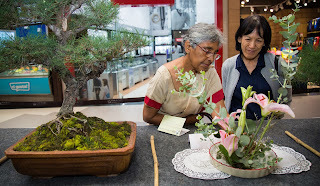 There were eighteen exhibits by our members, and these were greatly enjoyed by the visiting public. 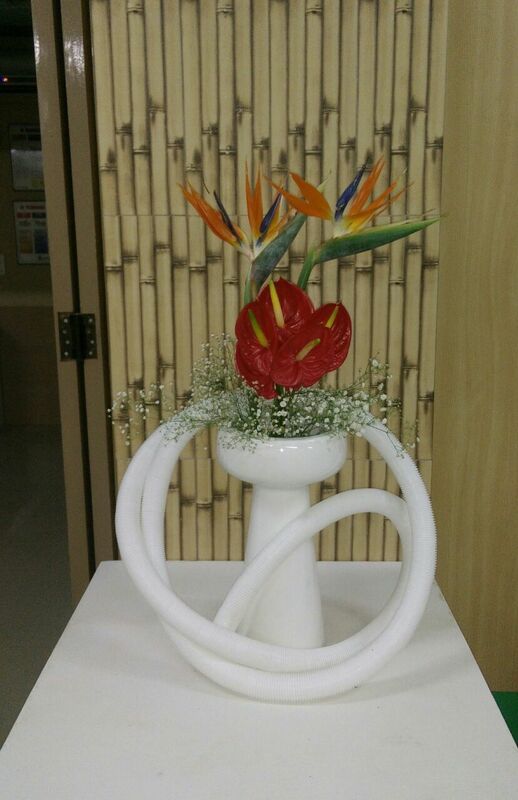 Nagiere composition by Seethalakshmi, in her trademark granite vase. 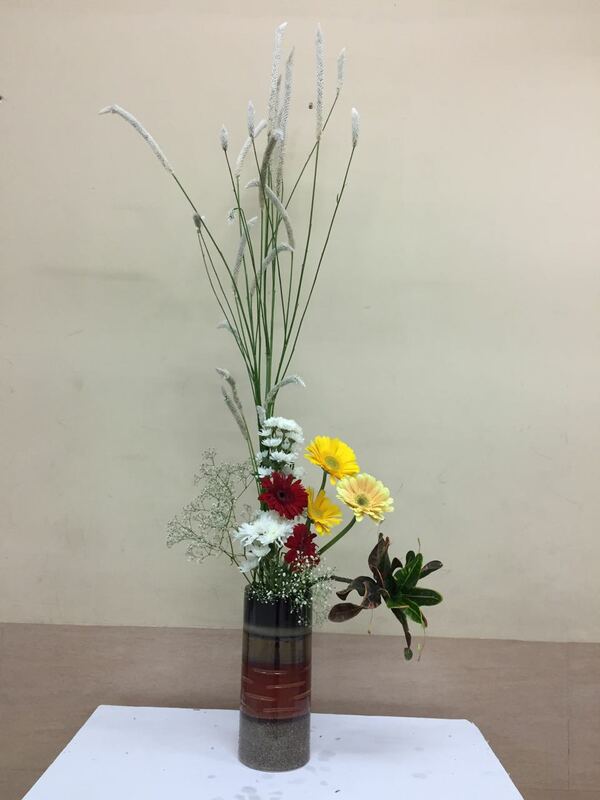 Sensei Prerana's composition in a Sogetsu school vase. 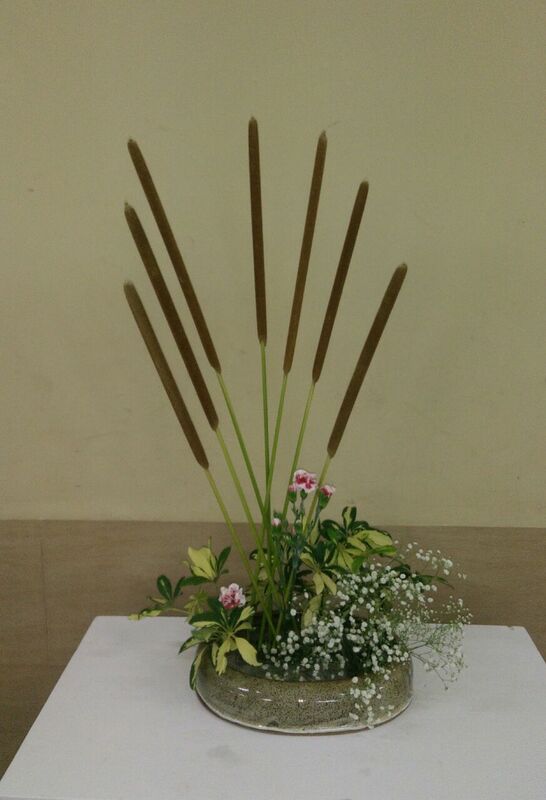 Strelitzia, anthuriums and Baby's Breath. interesting vase created with woven fabric. yellow carnations and green line material. 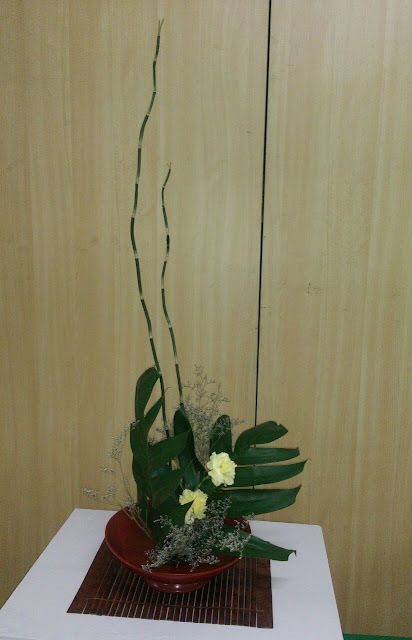 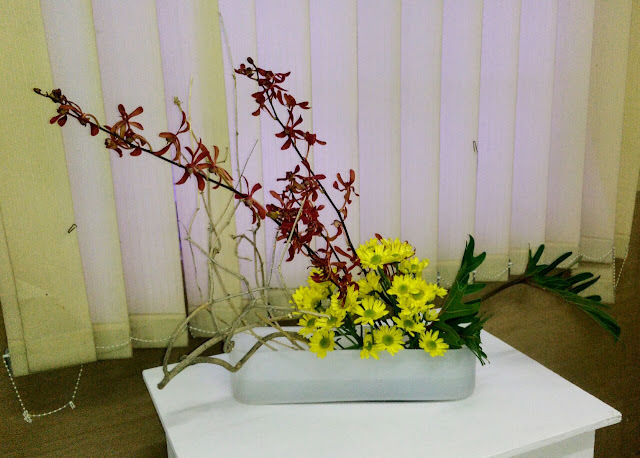 Sensei Meenu's moribana composition with orchids, chrysanthemums, dry vine and green leaf material. 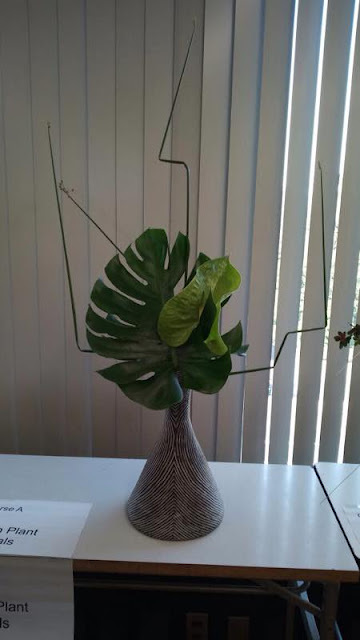 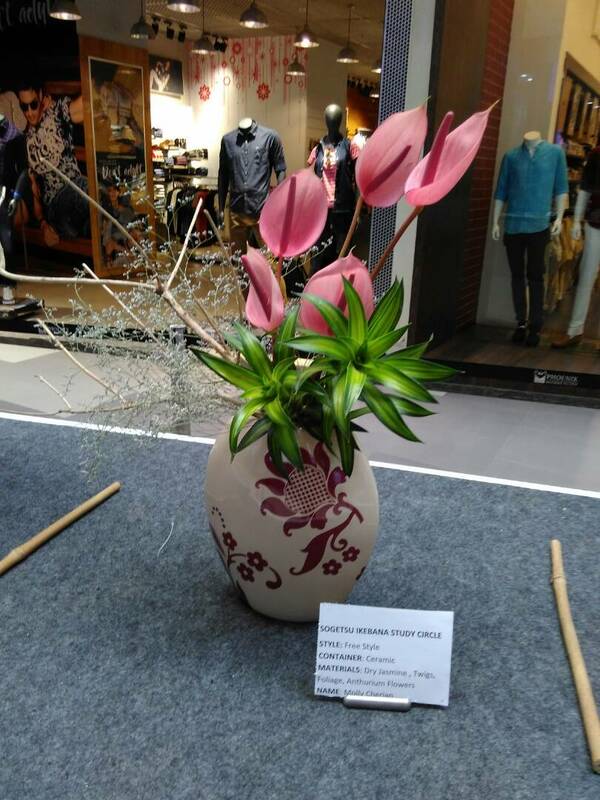 Sensei Janaki's moribana using bulrush and complementary fillers, in a ceramic vase. 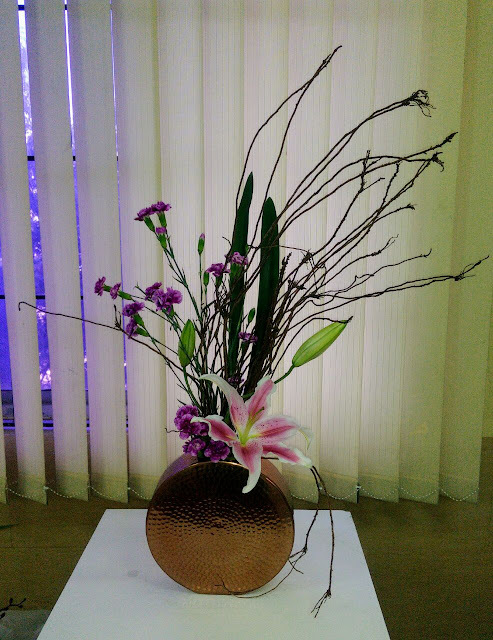 using cocolobo branches, pink anthuriums and orchids. 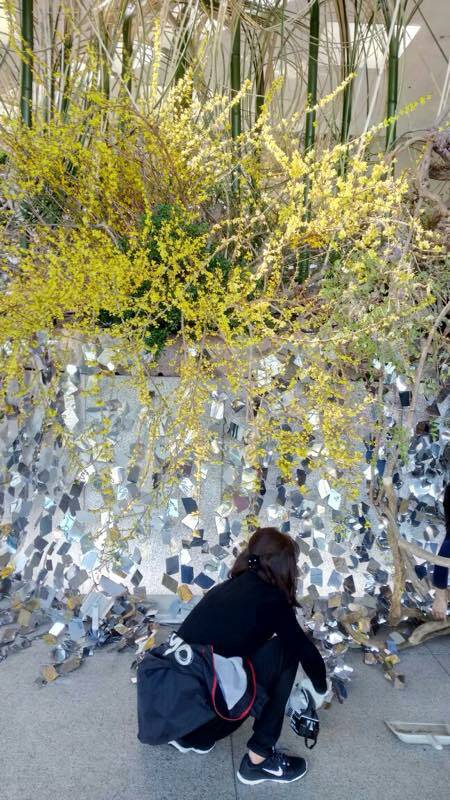 and the strong use of a monotone colour added drama. 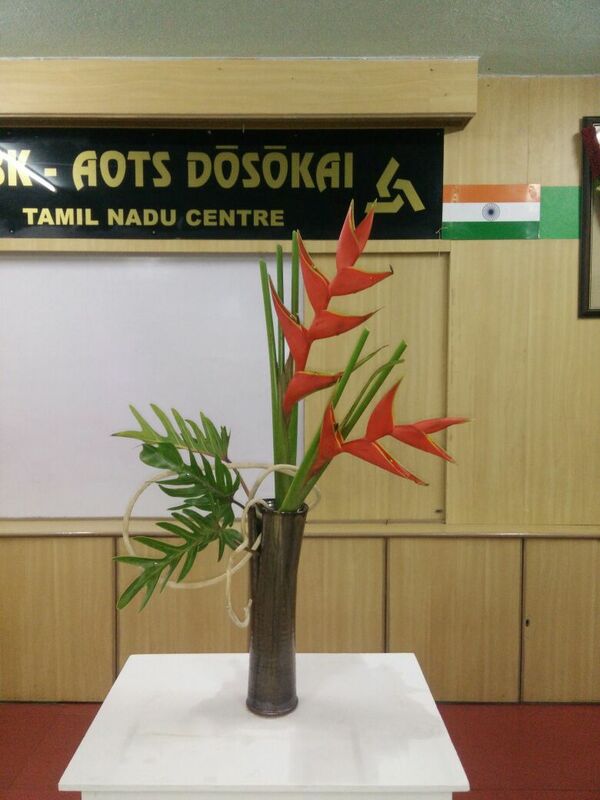 Beautiful plaited palm is the hallmark of Sensei Trishala's piece. 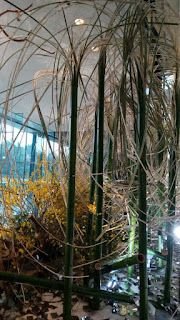 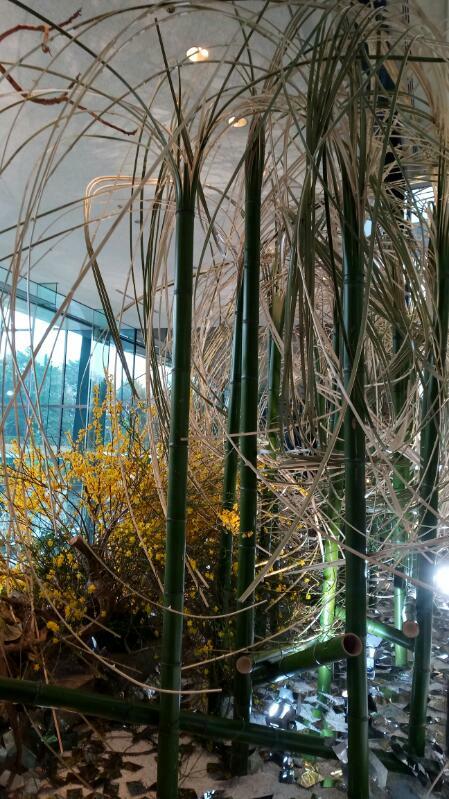 spontaneity of the bulrush lines and the vivid colours of the chrysanthemums.